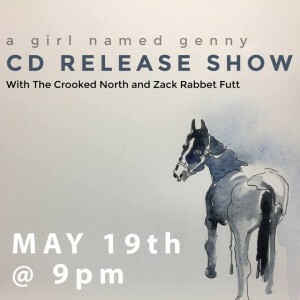 A Girl Named Genny return to release their debut full length album, “Coming Home”. The Crooked North will open up the night. Zack Rabbet Futt will play a solo set as well. It will truly be a great night of string music! The album will be sold for $10.